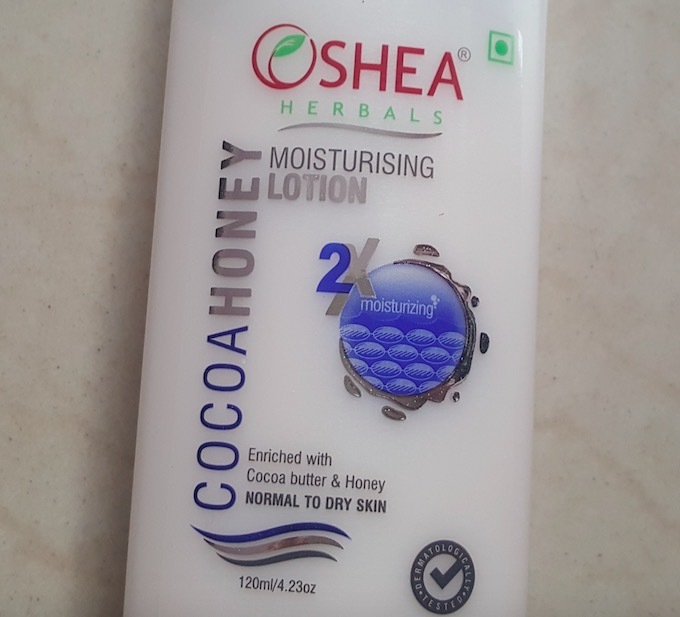 Hey everyone, today I’m reviewing the Oshea Herbals Cocoa Honey Moisturising Lotion. 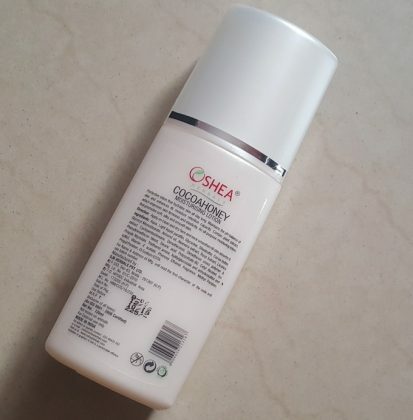 Oshea Herbals is one of India’s leading manufacturer of herbal cosmetic and they offer a wide range of skincare, hair care, and body care products. They’ve recently introduced new Cocoa Honey Moisturizing Lotion for face with 2X moisturizing level to ensure moisture during harsh winter. Added with Cocoa Butter and Honey as an active ingredient, this face moisturizer intends skin moisture retention and elasticity. Licorice and Aloevera extracts in the lotion promotes fairer and glowing skin. Moreover, it works as a protective lotion and maintain the PH balance of the skin. It is non greasy moisturizing lotion with quick penetration formula that provides soft, silky and smooth skin. 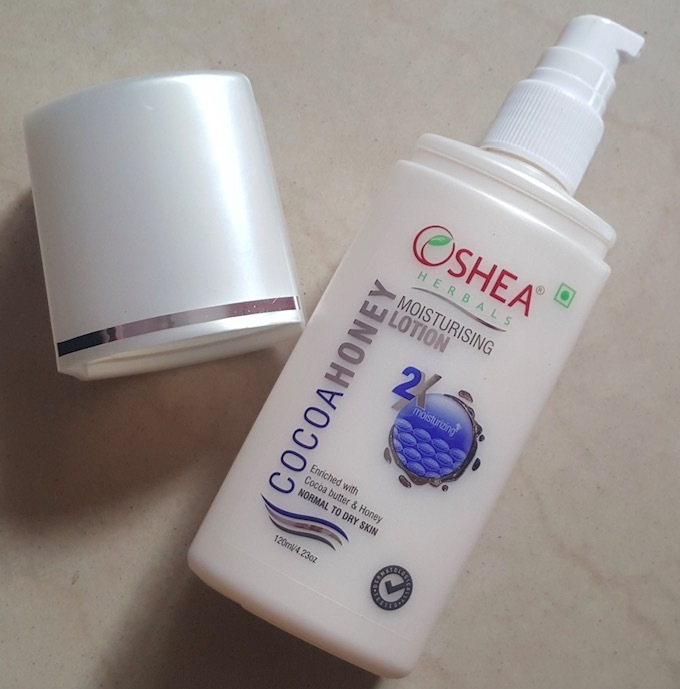 Packaging: Oshea Cocoa Honey Moisturising Lotion comes in a white plastic bottle with pump dispenser. The packaging is sturdy, hygienic and easy to carry while traveling. 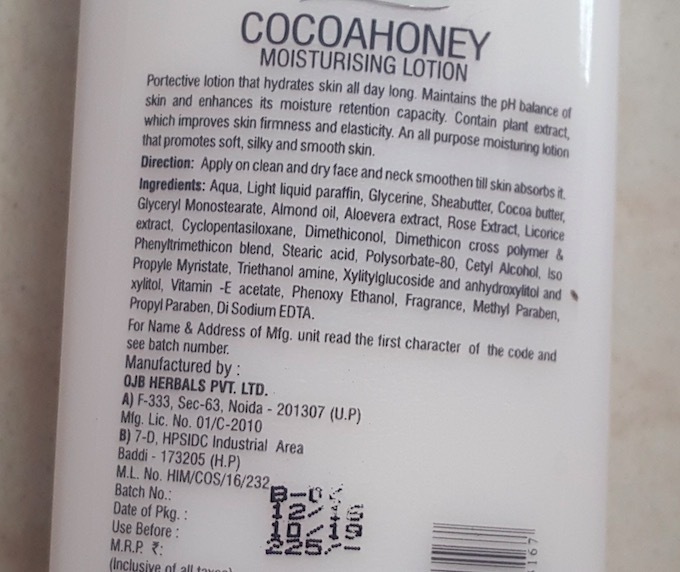 The bottle also contains the important information related to the product. 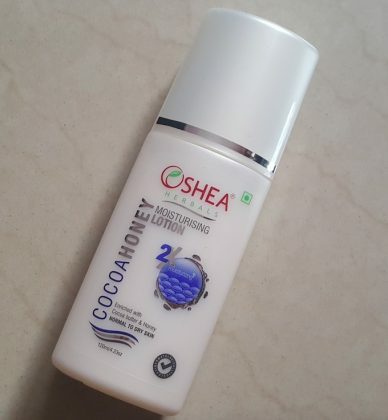 Price & Availability: The price of the Oshea Cocoa Honey Moisturising Lotion is Rs.225 for 120ml. It is accessible at all leading cosmetic outlets and major online retailers like Flipkart, Amazon, etc. My Experience: Oshea Cocoa Honey Moisturising face lotion comes in a white color and has a creamy lotion consistency. I generally take 3-4 pumps of this face lotion and massage it nicely on my cleansed face & neck. It glides smoothly and absorbs quickly with a light massage. 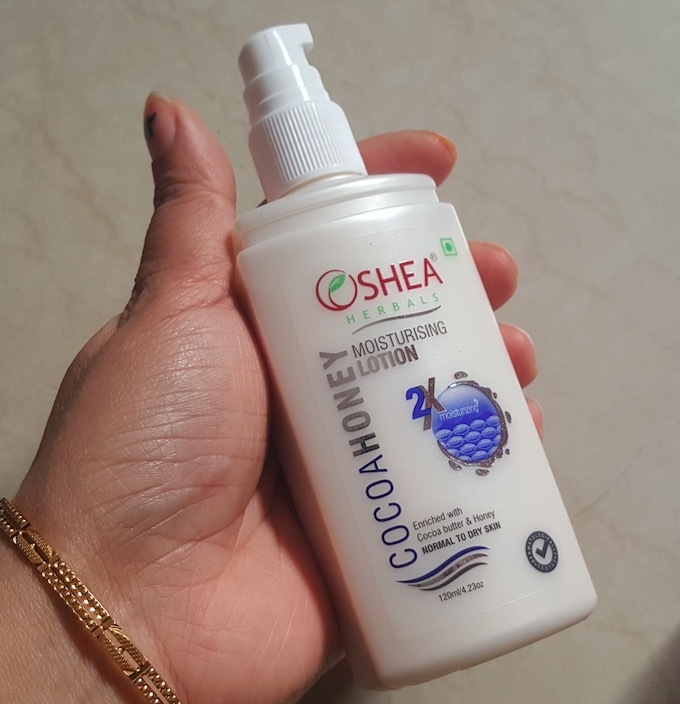 My skin becomes quite dry during the winters and this face lotion does a decent job in moisturizing my skin. However, my skin starts feeling a little dry after 3-4 hours and I need to reapply it. It is a good face moisturizer that hydrates normal to dry skin well but it is not enough moisturizing for the cold winter days. 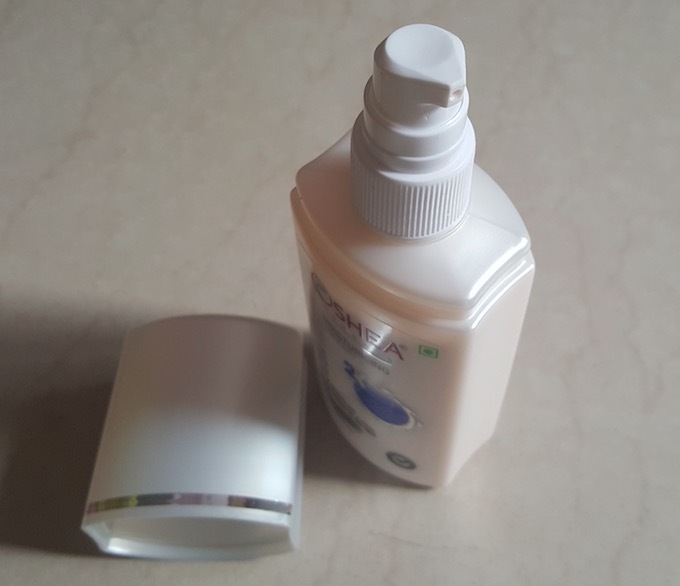 The face lotion comes in a convenient to use and travel-friendly bottle with pump dispenser. It is enriched with some amazing natural ingredients like cocoa butter, honey, licorice, aloe vera and vitamin E.
A non-sticky formula that moisturizes skin without feeling greasy. Suitable for normal to slightly dry skin. It didn’t cause any irritation or allergy to my acne prone skin. The quantity provided is very good and this 120ml bottle will easily last for up to 4 months. Not enough moisturizing for dry skin. You need to reapply it after every 2-3 hours to keep skin hydrated during the winters. Overall Oshea Cocoa Honey Moisturising Lotion is a pretty good product. It moisturizes the skin nicely without feeling greasy or sticky. It comes in a convenient to use pump pack and the quantity provided for its price is pretty satisfying. 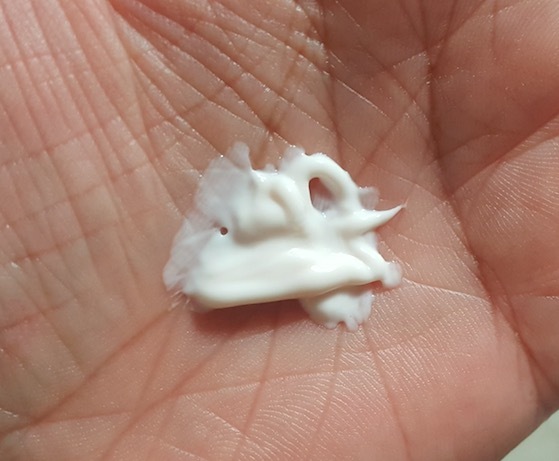 I will recommend this face lotion for normal to slightly dry skin whereas people who have either oily skin or extremely dry skin should skip it. dear sir my requrment is mostrises lostion and cold cream.